This excellent report has been professionally converted for accurate flowing-text e-book format reproduction. The Air Force is not drawing upon its full talent pool for leadership in its most senior positions. This also has another negative affect of creating a general officer cohort that severely lacks diversity. Active duty general officer statistics bear out that the group is 94% white and only 7% female as opposed to the overall Air Force population that is 72% white and 20% female. While more diverse than in the past in terms of Air Force Specialty Code, the general officer cohort is 58% pilot officers, even though the promotion pool for selection to O-6 is only 30% pilot officers. Most people looking at that problem would conclude the problem is with the promotions boards, but the Air Force promotion system itself is not the problem. Leadership decisions to only allow officers selected for promotion from the below-the-promotion zone (BTZ) category to enter into the general officer ranks is one factor. That factor compounds with the Air Force's decision to limit the BTZ opportunity to roughly 3% when it could allow as much as 10% of the population to be BTZ-selectees produces a much smaller pool of officers for selection. 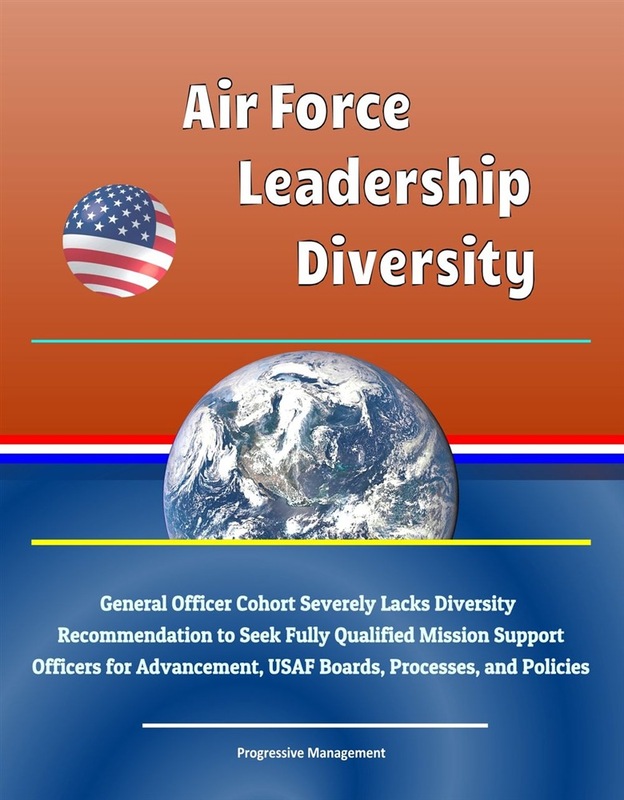 Because there are such a high percentage of pilot officers in the general officer cohort this also limits the ability to increase diversity of race, background, gender, thought, experience, culture, and leadership as the pilot officer career field is one of the least diverse groups within the Air Force. It is time to look at different ways to select future general officers for the Air Force. There are many fully qualified and able officers in the mission support category that would be amazing representatives of the Air Force at all levels. 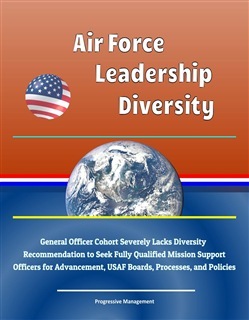 Acquista Air Force Leadership Diversity: General Officer Cohort Severely Lacks Diversity, Recommendation to Seek Fully Qualified Mission Support Officers for Advancement, USAF Boards, Processes, and Policies in Epub: dopo aver letto l’ebook Air Force Leadership Diversity: General Officer Cohort Severely Lacks Diversity, Recommendation to Seek Fully Qualified Mission Support Officers for Advancement, USAF Boards, Processes, and Policies di Progressive Management ti invitiamo a lasciarci una Recensione qui sotto: sarà utile agli utenti che non abbiano ancora letto questo libro e che vogliano avere delle opinioni altrui. L’opinione su di un libro è molto soggettiva e per questo leggere eventuali recensioni negative non ci dovrà frenare dall’acquisto, anzi dovrà spingerci ad acquistare il libro in fretta per poter dire la nostra ed eventualmente smentire quanto commentato da altri, contribuendo ad arricchire più possibile i commenti e dare sempre più spunti di confronto al pubblico online.